It’s unbelievable how quickly a year can really fly by. It seems like just yesterday we were celebrating 2015’s arrival and tomorrow we will be bidding it farewell. Although it truly is just another day passing by, New Years is also a time to reflect on the past – memories good and bad. It’s also a good excuse to do a favourites post featuring some of my most used beauty items! Essence Longlasting Lipstick in barley there! I have no idea how the Kylie Jenner lip trend is still a thing, but I suppose you could call this super moisturizing lipstick my attempt at rocking the Kardashian sister’s famous hue. 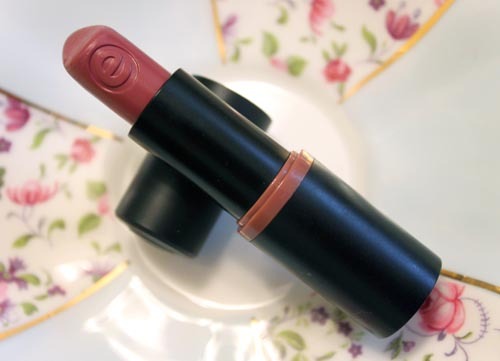 It’s a wearable brown with rosy undertones and looks quite flattering on the lips. The formula is smooth and buttery, but lasts for several hours, and best of all…it only costs a few bucks! I’ve been asked a couple of times if my eye lashes were real while wearing this mascara, which is a big deal to me because normally they’re pretty average. 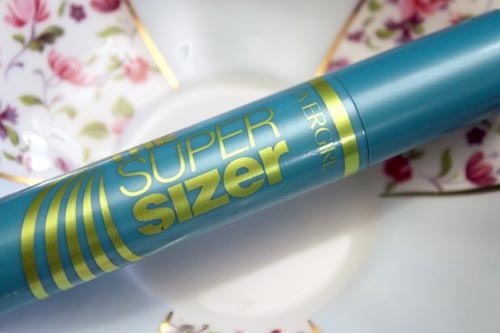 This one definitely holds the curl like no other and makes my lashes long and lush. I also really enjoyed the Covergirl Full Lash Bloom Mascara by LashBlast for creating soft and natural looking lashes. It’s a great option for those with sensitive eyes or contact wearers. I went through multiple bottles of this magical water during 2015. I find myself using it most on lazy nights when I just want to crawl into bed and can’t be bothered to wash my face. 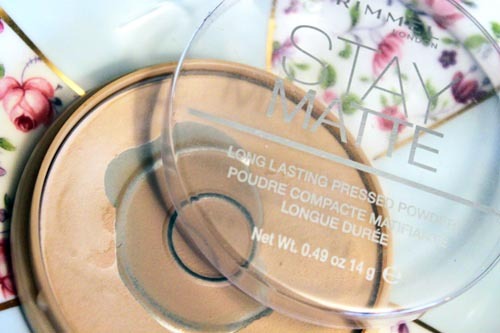 It removes all of my makeup without stripping my skin. Unfortunately my stash is dry at the moment, so I wasn’t able to capture a photo, but I have done an entire post dedicated to the Simple Micellar Cleansing Water in the past. Click here if you haven’t seen it. This lippy looks purple inside the tube, but on the lips it’s quite sheer and neutral. It’s an ‘MLBB’ (My Lips But Better) kind of colour that’s so easy to apply and wears well with everything. 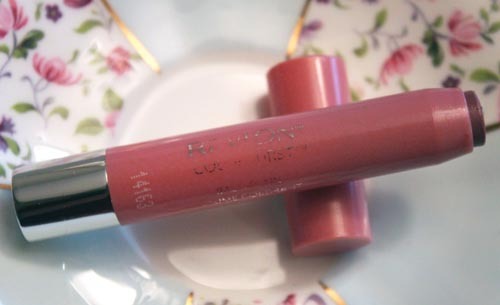 It has a slight minty scent and moisturizing properties, making it feel more like a lip balm rather than a lipstick. I generally have this beauty tucked in a pocket of my purse and use it while on the go, especially when my pucker’s feeling chapped but I still want a tint of rosiness. 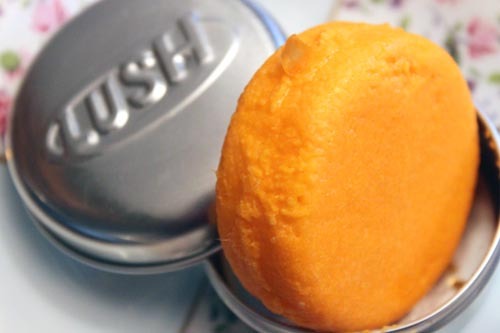 I’m not sure if LUSH would be considered drugstore or high end, but each shampoo bar costs roughly $10, which I compare to a bottle of shampoo and conditioner. I fell head over heels in love with these nifty pellets this year! They’re super compact and great for travelling, last a really long time, lather better than anything I’ve ever tried before and leave my hair clean but conditioned at the same time. While I’ve tried multiple different shampoo bars, the one pictured below is Brazilliant, which contains loads of vibrant citrus oils leaving my hair smelling like a Creamsicle. I hit pan on this setting powder a long time ago and it’s still kicking! I have dry skin, so I only use a tiny amount under my eyes and on my t-zone where I tend to get oily patches. It locks everything in place, eliminates shine and makes my pores look smaller for a flawless finish. Well there you have it, some of my most loved, and used, affordable products from the past year. You can catch my high end beauty favourites on the other side. Happy New Year! Celebrate it well, but as always, remember to be safe.